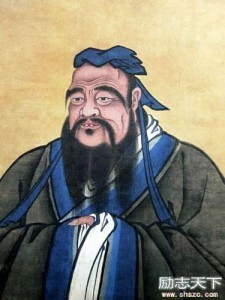 The second Chinese ethic and culture is Confucianism or as Chinese people say, Rujia儒家. Some people also say Ru儒 or Ruism. This is based on the philosophy of Kong Zi孔子(550-479 BC), and this has also affected Japan, Korea and Vietnam. Kong Zi is a person’s name. His surname is Kong, which means Hole and Zi means Mr. His name was Qiu 丘 means little hill and he was also known by another name Zhong Ni仲尼 (all traditional Chinese people had two names or more. It is a bit like the west where you have the name your parents gave you and your middle name is your religious name). The name given to you by your parents is the name they use to call you and it is also used by senior members of your family, teachers and the Emperor. You will also call yourself by that name when being polite. When boys reached the age of 20 that is mature, they would begin to wear special hat in old Chinese Culture. The girls reach the age of 15 which were married age. They would have another name. So when Kong Qiu reached the age of 20 he used his other name Zhong Ni for friends and others. Kong Zi had a lot of knowledge about the Old Classical Chinese Culture, rules and systems. He suggested that people got along together and that everyone should know their position and their responsibilities to create a big harmonious society.